A MEMORIAL to the Liverpool Pals who served during World War One is to be unveiled by HRH The Earl of Wessex on Sunday 31 August. It follows a three year campaign by The Liverpool Pals Memorial Fund to create a permanent tribute to remember the men and boys who volunteered during the Great War. 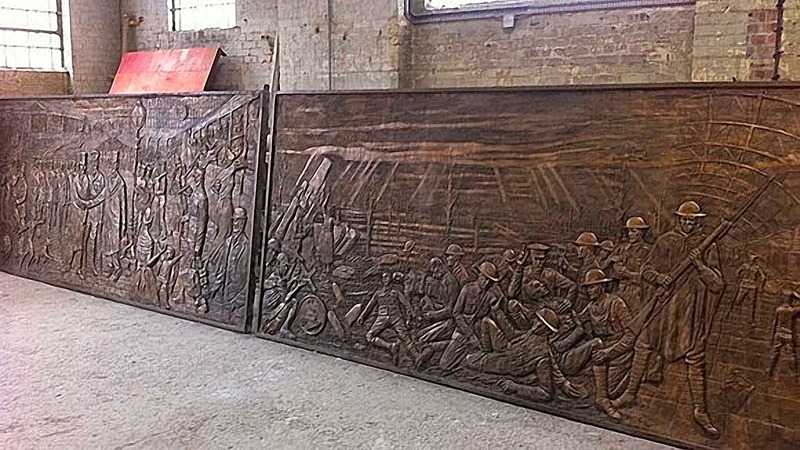 The £85,000 frieze, designed by Liverpool sculptor Tom Murphy and funded through donations, will be revealed by Prince Edward at 11am in front of an invited audience on the main concourse at Lime Street railway station. 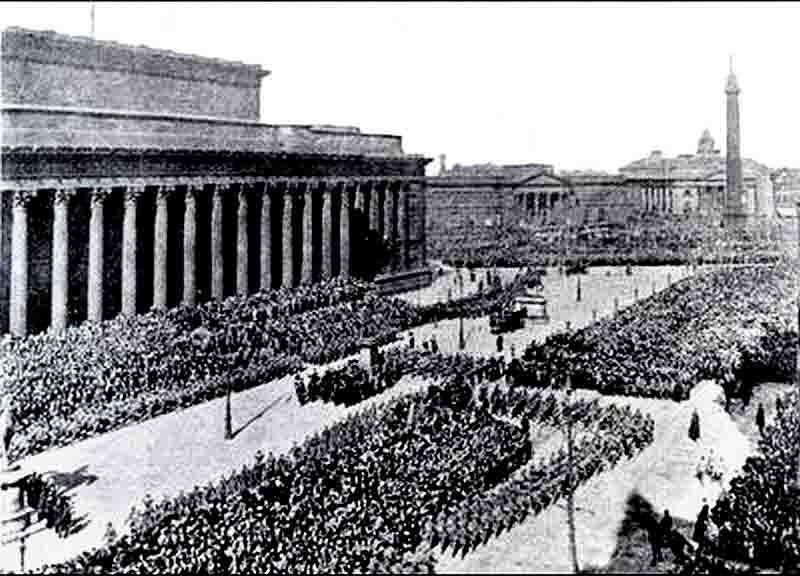 Following the unveiling, the focus will shift to St Georges Plateau from 11:30am, where a re-enactment of the Liverpool Pals signing up will take place - exactly one hundred years to the day since it happened, in answer to Lord Derby’s call for recruits. More than 1,000 men were recruited on 31 August 1914 alone. Over 6,000 men were initially signed up in 1914 – enough soldiers to serve in four battalions and for two reserve battalions. Many were killed in action and never returned home. During the re-enactment, part of the plateau will be transformed into an attestation centre, a trench and a field hospital to symbolize the different elements of the conflict. The Liverpool Pals Memorial Fund are asking people to come along to the re-enactment and find out more about those who sacrificed so much. Lt Col (retd) Anthony Hollingsworth MBE, Chair of The Liverpool Pals Memorial Fund, said: “We are delighted and proud that through people’s kind donations we are able to provide a fitting memorial to those brave men and boys, albeit 100 years on. 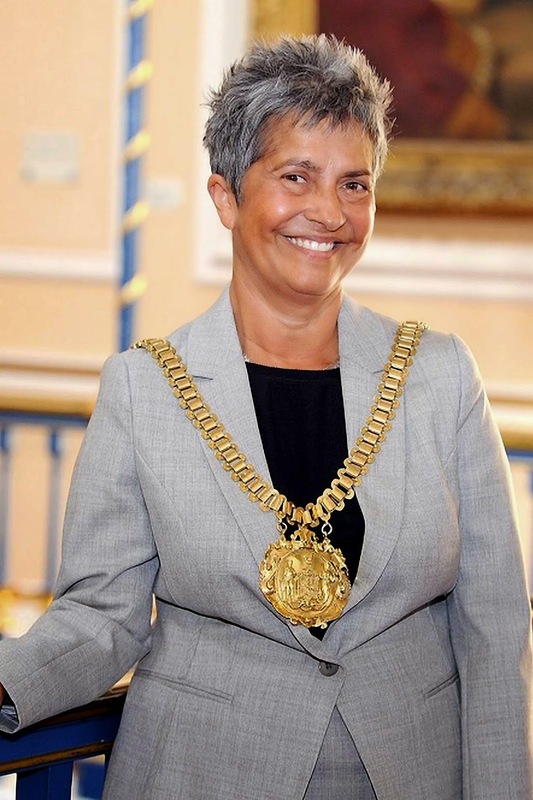 Lord Mayor of Liverpool, Councillor Erica Kemp, said: “In 1914, many of our young men wished to serve alongside their friends, family and work colleagues, and sadly many paid the ultimate sacrifice. “The Liverpool Pals will always be remembered as friends, colleagues and relations who joined up together, served together and, for so many of them, died together. The memorial tells the story of the Liverpool Pals through a series of dramatic images - from their formation through to their emotional farewells when they left the city, onward to scenes from the battlefield, their return from war and the commemoration this year. 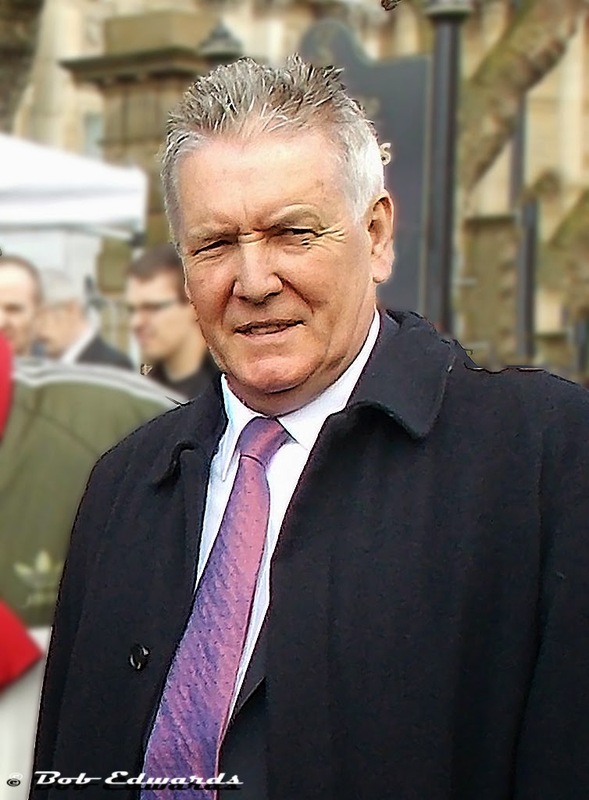 Sculptor Tom Murphy said: It has been a privilege to be chosen to sculpt the Liverpool Pals Memorial and I have ensured that the theme of remembrance permeates the entire work. Ian Joslin, area director for Network Rail, said: “The railway played a vital role to help mobilise troops during WWI and it is fitting that Liverpool Lime Street will be home to this memorial to the Liverpool Pals.